Hallways and stairways are one of the most confusing parts of an office building to decorate. While they can often be lengthy and highly trafficked, they don’t leave enough room for furniture, and there isn’t enough viewing space for many types of wall art. Luckily, O'Connor's Carpet Center of the Bronx, NY, can offer a solution to your interior design conundrum—carpet runners. Below, they explain the best way to install these rugs. As soon as you’ve found carpeting that matches the rest of the area’s color palette and style, measure the site of the installation. If you’re installing a carpet runner on the stairs, measure the narrowest step to determine the width of the runner, and don’t forget to add in the stair height. Mark the measurements with painter’s tape for the next step. Padding makes any carpet feel more inviting, but it’s especially important on the stairs, where trips and falls are more common. Once you’ve cut out the appropriate amount of padding, lay double-sided tape two inches from the expected carpet edges on both sides. Then, adhere the padding. 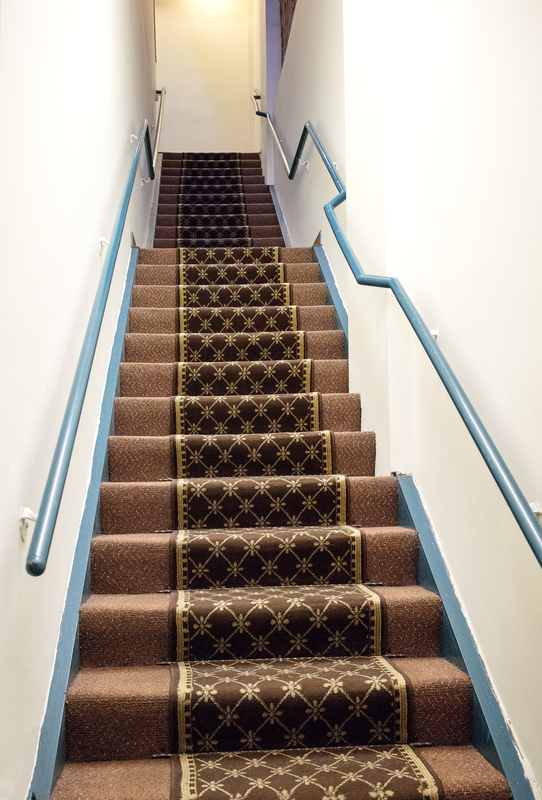 Once your padding is in place, take your carpet to the top of the stairs and staple it to each step. Make sure the carpeting is pulled tight, so there is no risk of buckling, and staple it in place underneath and on top of each riser, working your way down. If you’re installing the runner in a hallway, make sure each end of the carpet matches your measurements before pulling it taut and stapling. Create a clean finish by tucking the ends of the carpet underneath and adding a final staple to each corner. For help installing your carpet runner, visit O'Connor's Carpet Center. They’ll help you choose the perfect flooring for your commercial property. In addition to top-notch carpet supply and installation, they also sell linoleum, hardwood, and vinyl flooring. For more information about their selection, visit their Facebook page or call (718) 409-2020 today.